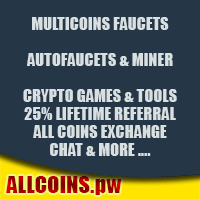 Welcome to Professional Miner – where you can earn several different coins through mining. If you enable mining on your PC, you will be connected (through our site) to CoinHive. You can start mining right away. But, before you can withdraw, you will need a wallet for each coin at FaucetHub. We will pay you 15% of the mining income generated by your referrals in the form of advertising credits. We have prepared some banners for you to promote this site. Just click on "Referrals" to see them. You can also place banner ads on this site at a very reasonable rate. You can pay for the ads using the Balance in one of your coin accounts or using PayPal.